Founded in 1958 by professors from St. John's College, Key School engages children from 2.5 years of age through grade 12 in a progressive, coeducational, college-preparatory, day program on its picturesque 15-acre campus located 4 miles from downtown Annapolis. Key's rigorous academic program emphasizes experiential learning, interdisciplinary studies and global perspectives while encouraging both collaboration and independent thinking. Key's program is designed to develop independent thinkers, creative innovators, effective collaborators, tenacious problem-solvers, and articulate leaders while cultivating in its students a deep sense of purpose, accountability and intrinsic motivation. We appreciate your interest in The Key School. During your school search we encourage you to explore our website, learn more about Key, and join us for an upcoming event. Key School's program is strengthened by the support of current parents, faculty and staff, alumni, grandparents, parents of alumni, and other friends of the School who make Key their philanthropic priority, each year. With more than 1,300 alumni across 40 states and more than 20 countries, Key’s alumni community is more vibrant than ever. A brief tour of the features and resources included in the Parent Portal. An overview of the new Key School Athletics pages, home of the Obezags. How to add a Key School calendar to your personal calendar. 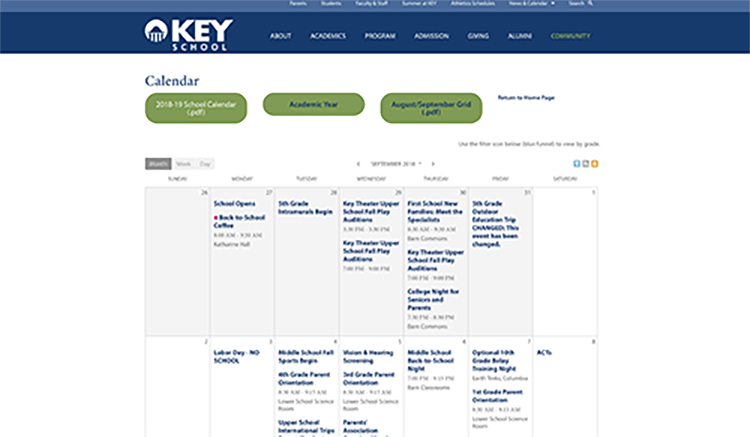 To add a Key School calendar feed to your personal calendar, navigate to the school calendar from Key's homepage. 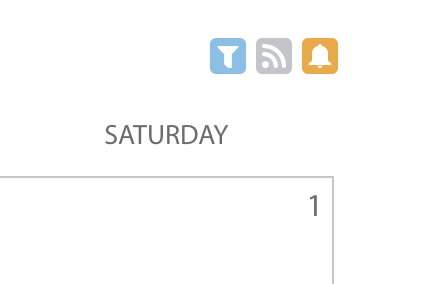 From here, click on the gray RSS Feed icon at the top right of the calendar, to access the calendar options. 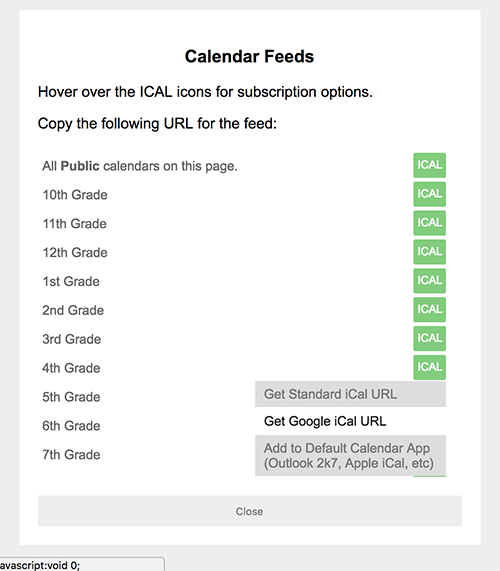 Select the calendar you wish to subscribe to and click on the green ICAL button and choose the appropriate option for your device. The URL for the selected calendar will appear at the top of the pop-up box. From here, follow the instructions for your calendar provider or app to add a public calendar using the generated URL. 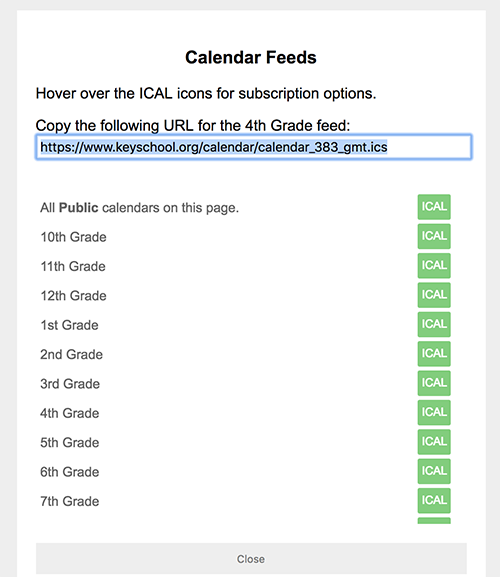 If you wish to subscribe to more than one calendar, you will need to generate unique URLs for each, and add them individually to your personal calendar.